I first heard this wonderful quotation from my friend Fisher Humphreys, who quoted it from memory at dinner one night. I had read it before many years ago when I read Niebuhr, but this one is gorgeous. Niebuhr deserves a lot of reconsideration by our current society. His hard-headed acknowledgement of human sinfulness is a good corrective to fluffy optimism. For faith, hope and love, that great triumvirate of the Apostle Paul from 1 Corinthians 13, stand next to the two great commandments of Jesus to love God and neighbor as high marks of Christian thought. Faith, hope and love are enough to occupy an entire lifetime without delving into all the intramural scraps of religion. That it is written to a church decimated by immoral behavior, fights over worship styles, divisions behind competitive personalities and members suing one another and class divisions in the communion service makes Paul’s lofty prayer even more powerful. Niebuhr had it right. Without hope that extends beyond life there is nothing worth doing. Without confident trust in what is right and good and true, there is no abiding the present. Without the joy of community there is no power sufficient to see a great cause through. And without forgiveness, we cannot escape disillusion and despair of life, which the ancient monks called “acedia” (sloth). 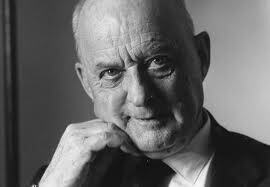 Posted on June 11, 2013, in Faith, Forgiveness, Hope, Love, Prayer, Reinhold Niebuhr, Theology and tagged 1 Corinthians 13, Apostle Paul, faith, forgiveness, hope, love, prayer, quotations, Reinhold Niebuhr, spirituality, theology. Bookmark the permalink. 2 Comments. Nail on the head, again. Thanks for the Niebuhr quote! I had read that one before, but you do a good service by bringing his statement back into my consciousness, and by elaborating on what that means as we live out our life.